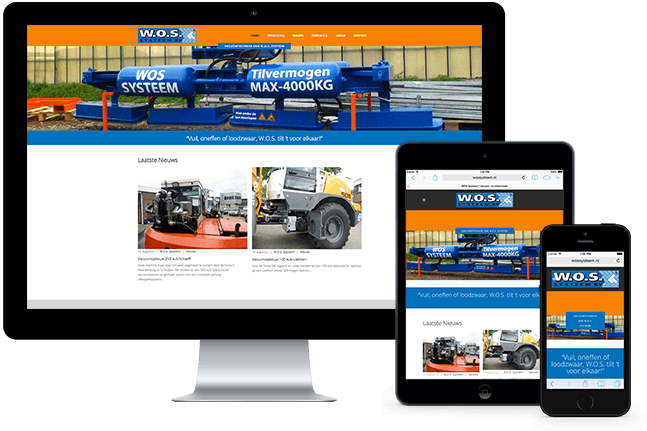 The website of WOS Systeem got a brand new look. Lifting heavy stuff with vacuum is their specialty, creating a website that represents the professionalism and expertise of the best vacuum-lifters in the country is ours. If you are interested in vacuum lifting and tilting or want to take a look at their new website, please visit WOS Systems new website. WOS System stands for 30 years of customer-focused vacuum solutions with a guaranteed increase in productivity for lifting and tilting the toughest assignments in industry and building.